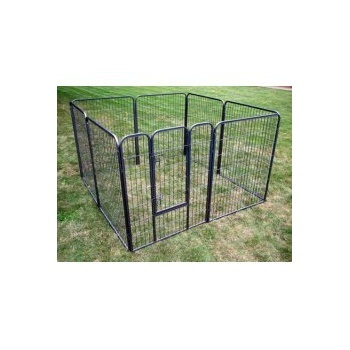 Size: 8 x Panels measuring H40" x W32"
Our new 8 panel puppy pen has a thick 20mm strong tubular outer frame. The simple stake joining system is ideal for soft as well as hard standing. The half door design enables dames easy access without her pups being able to follow. Double hook bolts for extra safety with the option of removing the door completely. Our hammertone silver fleck powder coating is heavy duty. 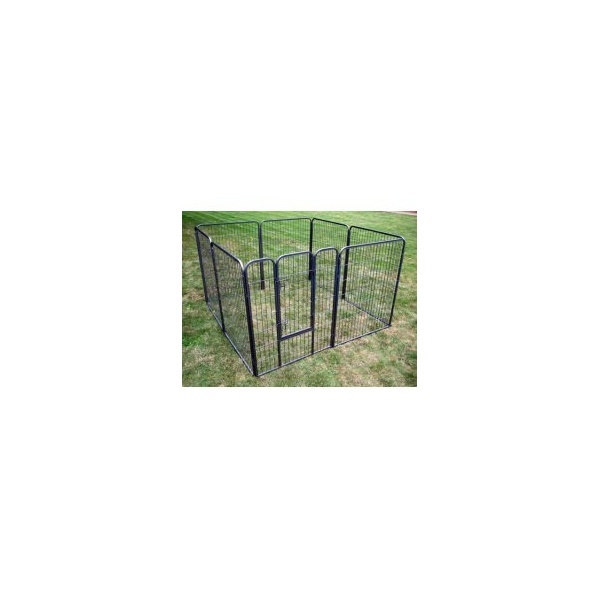 The set contains 8 panels with one door panel. Each panel measures H40" by W32". Fully adjustable so it can be used with just 4, 5, 6 etc. panels depending on space available & litter or dog size.